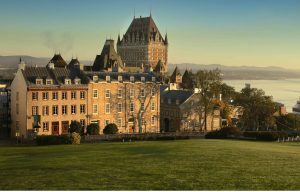 The Tenth Annual Society for the Neurobiology of Language Meeting (SNL 2018) was held in Québec City, Canada at the Québec City Convention Centre. View the 2018 Sessions & Events. 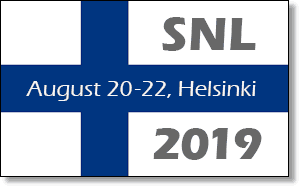 View the 2018 Meeting Program (PDF) or 2018 Meeting Abstracts (PDF). 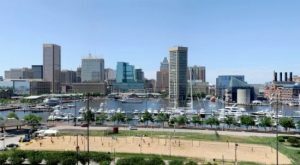 The Ninth Annual Society for the Neurobiology of Language Conference (SNL 2017) was held in Baltimore, Maryland at the Sheraton Inner Harbor Hotel. View the 2017 Sessions & Events. View the 2017 Conference Program (PDF) or 2017 Conference Abstracts (PDF). View the 2016 Conference Program (PDF) or 2016 Conference Abstracts (PDF). View the 2015 Conference Program (PDF) or 2015 Conference Abstracts (PDF). View the 2014 Conference Program (PDF) or 2014 Conference Abstracts (PDF). View the 2013 Conference Program (PDF) or 2013 Conference Abstracts (PDF). View the 2012 Conference Program (PDF) or 2012 Conference Abstracts (PDF). View the 2011 Conference Program (PDF) or 2011 Conference Abstracts (PDF). View the 2010 Conference Program (PDF). View the 2009 Conference Program (PDF).